Wolfgang was purchased back in October 2014. Since that time we have used the van for all of our main holidays, and hope that this will be the case for many years to come. 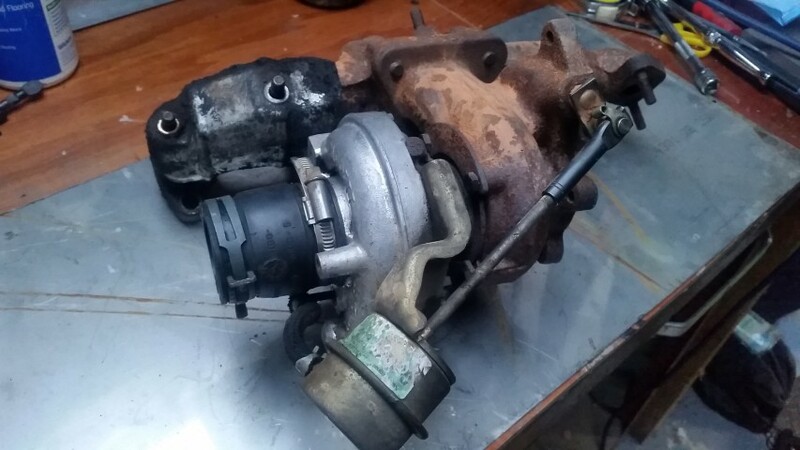 All part and parcel of owning a 25 year old classic is the never ending list of things to do to keep it in working order. I have chipped away at cosmetics, creature comforts and the run of the mill stuff to keep him roadworthy. Although changes have been made to drastically improve the handling with suspension improvements and maintenance, there has always been an issue with it’s lack of ability to climb hills. 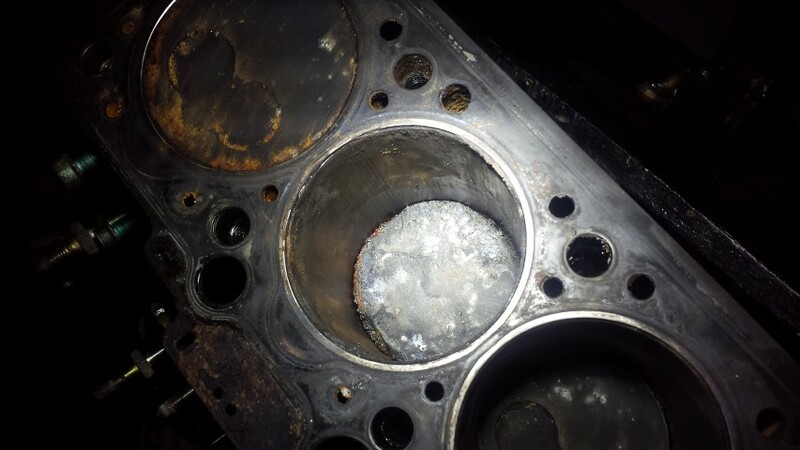 During a service in 2016 by Brickwerks I asked if they could check the engines compression. Unsurprisingly it has been diagnosed as being on the poor side of what should be expected. This twinned with the fact the fuel pump had proven difficulty to adjust left me feeling that there was only one possible route to give me the reliability I need for any confidence in future trips. 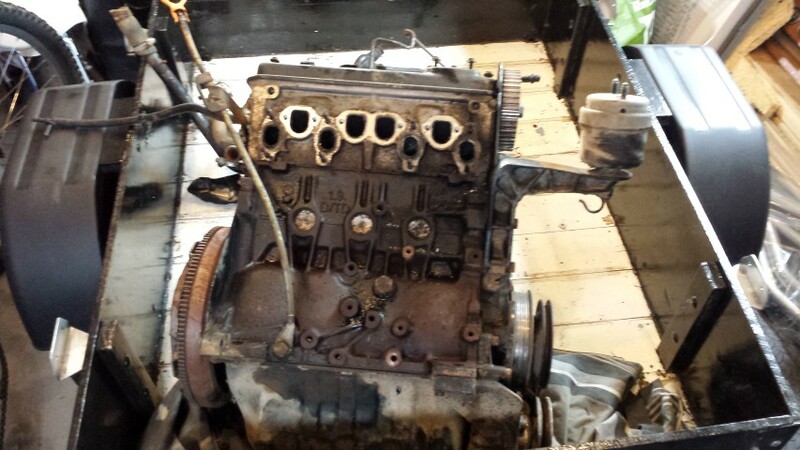 An engine change. last year we made the decision that 2017 would be the year we would commit to a month long trip in Europe. Both Mandy and I explored the avenue of taking time off unpaid to realize our dream so we didn’t have to exhaust all of our annual leave in one fell swoop. This was swiftly agreed by both our employees. Happy days 🙂 . Shortly afterwards I started asking questions on forums and social media about the best route to go down with my van and its engine. I will not lie, the van had already cost me more than anticipated from time of purchase, largely due to being neglected by the previous owners. 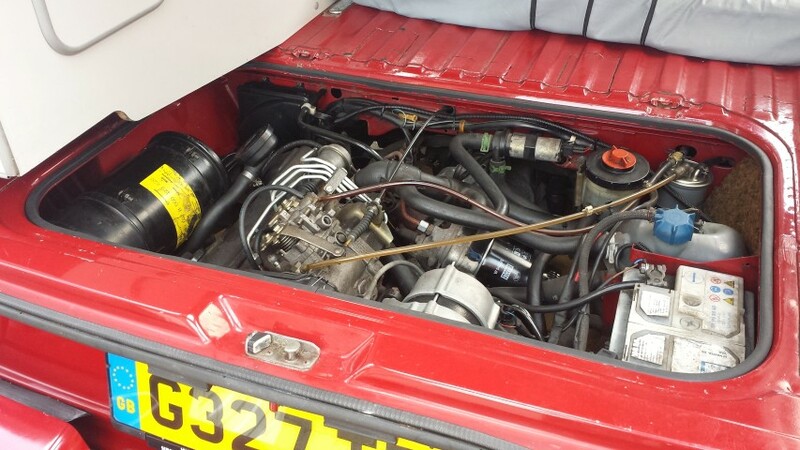 So the cost of an engine change was something I hadn’t factored in at this stage in my ownership, which meant I had to be realistic with the budget i felt i could manage. There are a multitude of different engines that would fit my van, with many of the more modern alternatives providing much better performance and economy. As tempting as it was, I knew that choosing one of these engines would make for a more involved installation, and as a result more costly. Also, a more powerful conversion would require changes to the gearbox to enable it to cope with the extra power, and this was really not an option I could entertain with my budget. All of this taken into account, I decided to plumb for the slightly larger capacity 1.9td (AAZ) engine as a replacement for my current 1.6td (JX). The extra capacity should give a little more grunt up hills, which will be much appreciated. 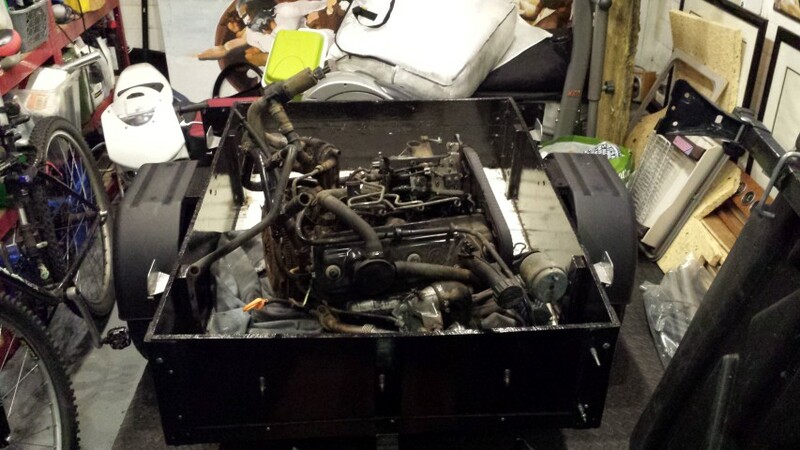 The almost identical engine configuration would mean that many of the parts involved to fit into my van will already be available from my old engine. That said, getting a good second hand AAZ with low mileage would prove difficult as these engines were produced in the 90s. Many would have high, or questionable mileage and history. Not really a chance I wanted to take from a reliability stand point. After much pondering and research I chose the only option I felt comfortable with, which was going to be a re-manufactured unit. This is different to a recon engine where the parts a just inspected and replaced if necessary. 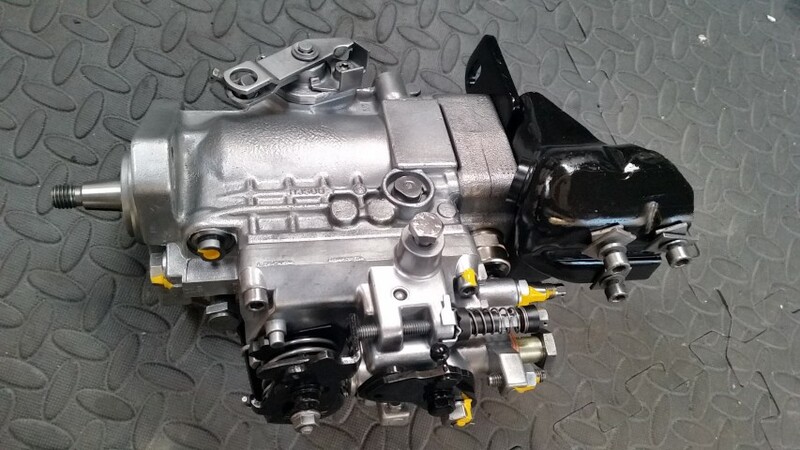 Re-manufactured is a total strip down and ground up rebuild with all new parts. So with all of this as my criteria for the future power plant, I contacted a company that had an extensive history with re-manufacturing VW diesel engines (AW Engineering Darwen). I was told that an AAZ would cost £2100. However if I had a unit to exchange it would only be £1500. I’m all for saving money if there is a route to doing that, and the £600 discount on an engine with an exchange sounded very apealing. I wasn’t in a position to part with my current engine as we had plans to use it right up until i had the conversion, so the only possible option would be to source another unit. So i spent a couple of weeks on ebay , pre loved and gum tree in search of something that looked like it would tick the box. I eventually found an ABL in Birmingham from a VW T4 Van for the sum of £180 which was promptly collected. Not knowing the history of the engine I wasn’t sure if it would be an acceptable exchange unit. Basically it had to be salvageable by the engineering company. It was a gamble, but It did come complete with Turbo and fuel pump so I could always sell these on to recoup some of the cash . 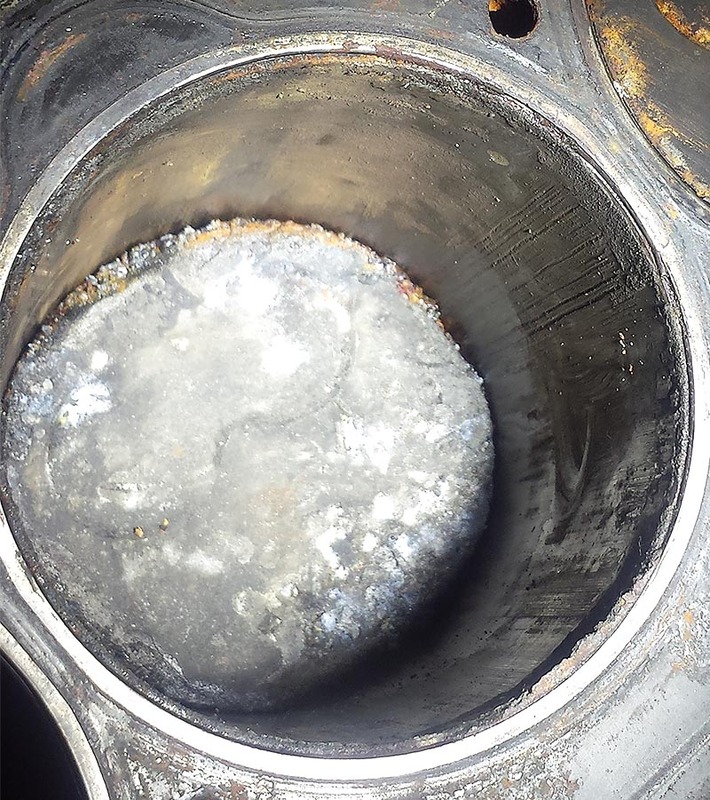 Big scores in the bore and a pretty badly melted piston pointed towards an injector fault on one cylinder. I sent AW an email with the above photos and they said it would still be worth sending it to see if they could do something with it. 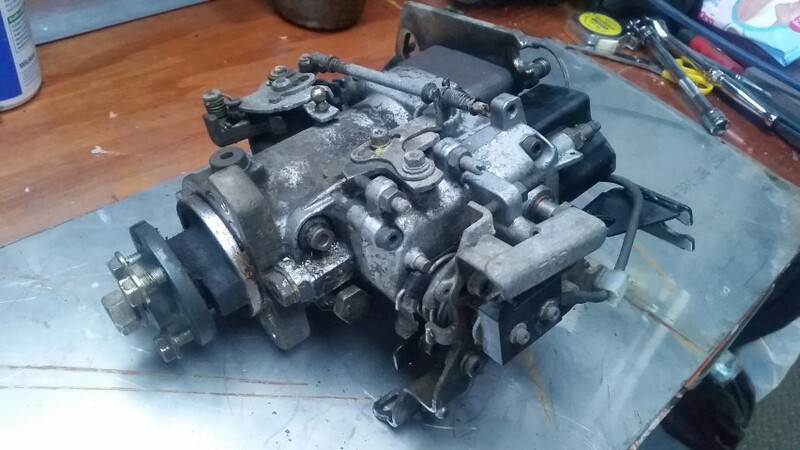 I was a little apprehensive as I thought the bore was too damaged, but took the plunge on getting a courier to collect and deliver the engine for £40. 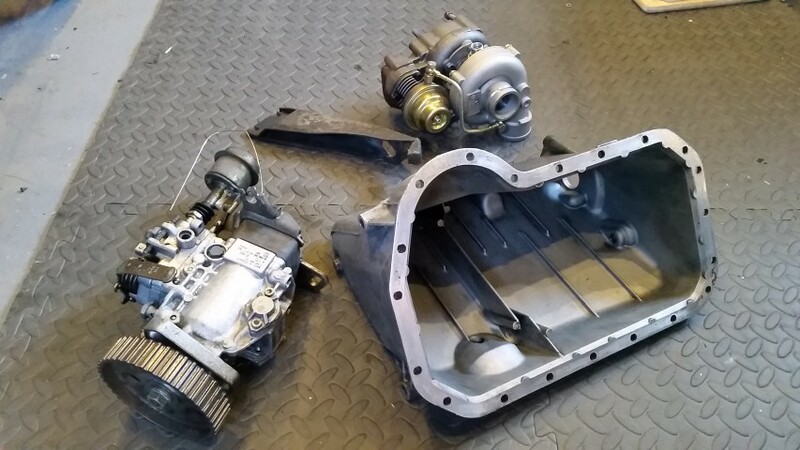 So this was £180 engine + £40 delivery = £220 of my hard earned cash. Fortunately it proved not to be a waste of time. I received an email from AW to say that they had managed to turn the engine around, which meant and I would get my discount off a replacement engine 🙂 . So all of this was July 2016! I wasn’t really in a position to buy the engine back then, let alone have it installed. I knew that this would all take place in 2017 before our Euro trip. So I got an agreement with the engine re-manufacturers that it would be some time in the future before i would be buying the engine. That didn’t stop me looking for other parts. 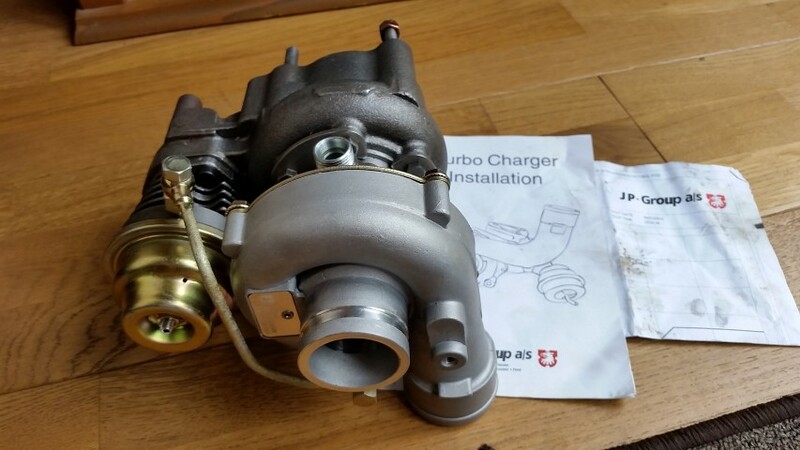 I saw a turbo, brand new on Facebook for £200 which was less than half price so snapped that up. 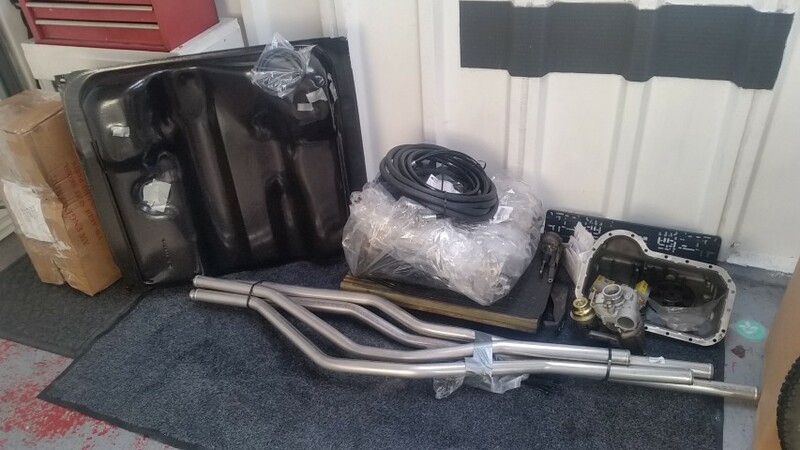 Also, I managed to get a second hand sump that I would clean and use as a replacement for the dirty one on the van, and a fuel pump i would have reconditioned. So this is pretty much where things stayed until February 2017. We hadn’t spent any time planning the Euro trip because the finances for the engine transplant and all that went with it started to unsettle me. A decision had to be made, and after a little financial juggling we were back on track. Brickwerks were going to be my chosen engine installer, and a date of April 10th was arranged for the drop off. I knew they had the credentials to do an excellent job as they had done all of the work previously on my van. I also got in touch with AW and ordered my engine which arrived about a week later. I had a few other parts that i should have had fitted by a my local garage last year, but for one reason and another this didn’t happen. So my intention was to have everything sorted in one go. So the parts had started to pile up.. 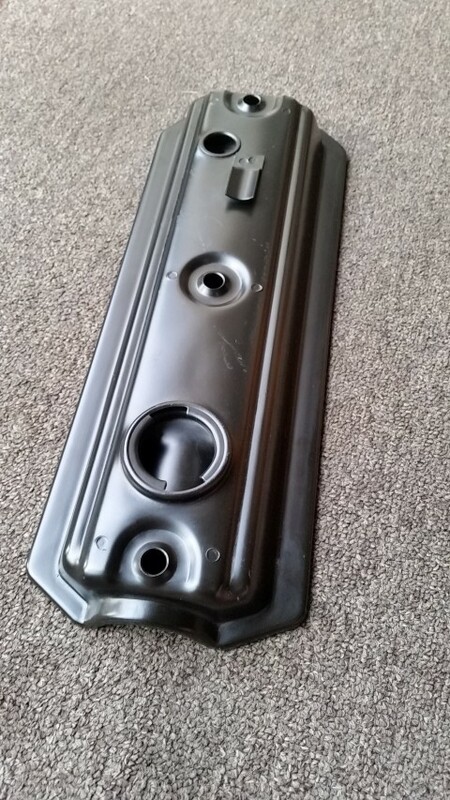 I also managed to source a brand new AAZ rocker cover…result! So the install date for the engine is approaching, and we are well on the way to planning our Euro Trip with places like Troyes, Anncey & Dijon (France), Lauterbrunnen (Switzerland), and Venice, Garda & Verona (Italy). Oh that’s looking good Andy. I agree with your reasoning on engine choice.